Loose pearls are graded according to the 5 Virtues. The 5 Virtues of cultured pearls are: Natural Luster, Shape, Size and Natural Color. Luster is the single most important determinant of pearl quality. Luster is derived from the pearl�s countless layers of pearl nacre- nacre is the pearly substance that forms the body of the pearl itself. It is the nacre of the pearl that causes light to be refracted from different depths of the nacreous layers through minute prisms, giving each pearl its unique lustrous appearance. 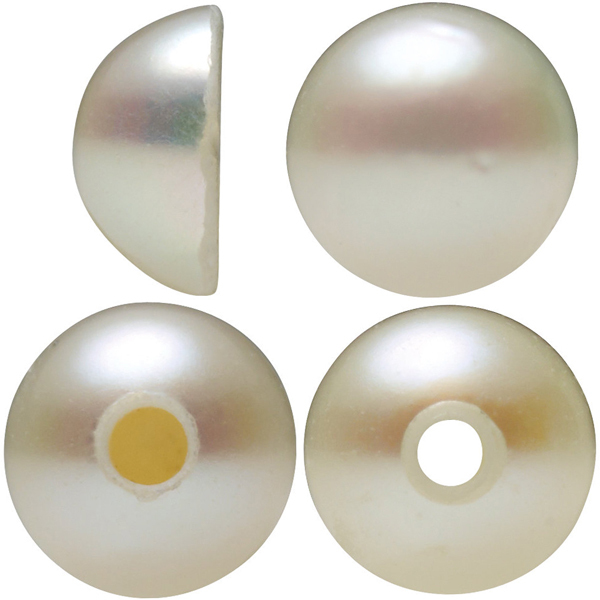 The pearls available from AfricaGems are all of excellent luster due to the quality and thickness of the nacre. Importantly, the luster of many of these pearls is untreated and as such their beauty will not diminish over time if cared for properly. From round to drop, button to baroque, pearls come in an almost infinite variety of shapes. 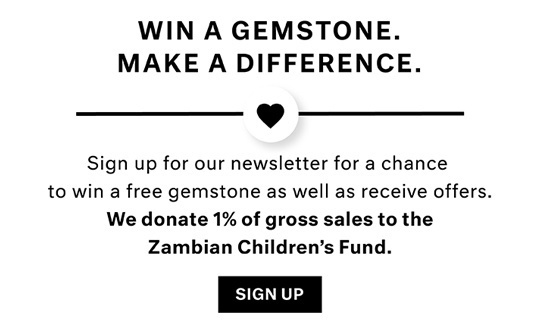 A pearl�s shape does not affect its quality. However, the popularity of particular shapes�or the rarity of others�can result in a premium on the price of some shapes. Round pearls are symbolic of the perfection of nature. They are ideal for use in strands necklaces, rings or as matched pairs. Near-round pearls are not quite as perfect in shape as round pearls, however once set can appear perfectly round except upon very close inspection. They can be used in exactly the same way as round pearls but for a lower cost. Oval pearls are ideal for use in drop earrings because the shape compliments the length of the neck. They are a beautiful alternative to round pearls when used in a strand. Many women prefer them as they feel that the shape is softer and that the slightly longer shape gives the appearance of elongating the neck. The Drop pearl, similar to the oval shape, is ideal for linear designs such as dangling earrings, pendants and as the finishing punctuation to a lariat design, Drops also make a fascinating addition to brooches. Button shaped pearls are ideal for use in stud earrings because once set they have the appearance of roundness while sitting closer to the ear. In larger sizes this reduces the weight on the ear and allows the earrings to sit more naturally. Circle shape is the entry level for many Pearls. Possessing a great deal of character they are suitable for pendants, strands and dangle earrings. The lines around these pearls give them a very contemporary appearance and they are ideally suited to modern jewelry designs. They are comparatively inexpensive which allows a much larger size to be obtained at a very reasonable price. Of important note is the uniqueness of shape, no two are alike. Therefore, pairs listed are complementing sets, as exact matching is not possible. Baroque pearls appeal to lovers of nature and represent the unique quality of pearls that no two are identical. They are perfectly suited to use in one-off jewelry designs, but can also be matched into strands of complementing pearls for someone who is looking for something original to represent their personality. Please note that pairs listed are sold as complimenting sets, as exact matching is not possible. Our selection of cultured pearls ranges from the very small Akoya pearls which range from 1.00mm to 8.00mm to the large South Sea pearls and Tahitian ranging from 9.00mm to 15.00mm. 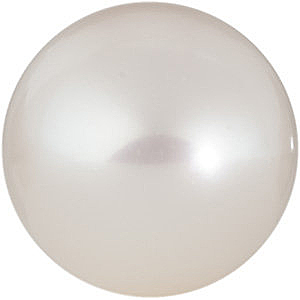 The largest pearl we offer is the lustrous pear shaped Mabe pearl with a length of 22.00mm. The desirability of different pearl colors is a matter of individual taste. 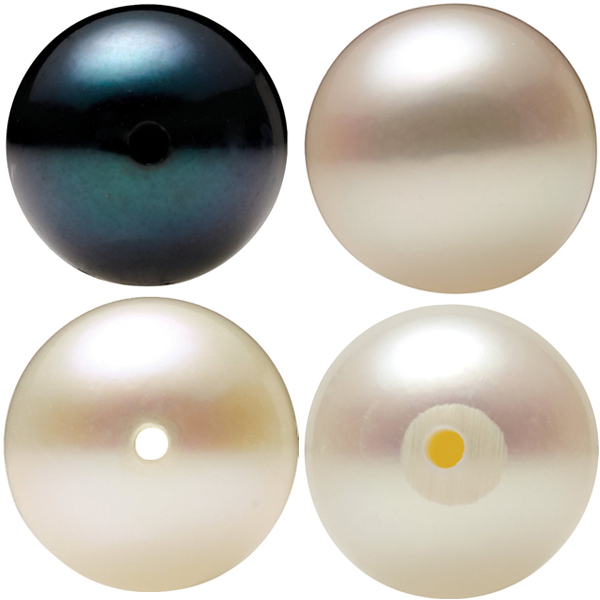 From the classic white Akoya pearl to the Golden South Sea Pearl to the smoky grey Tahitian pearls, we carry the gamut of beautiful pearl colors. Whether you prefer a mixed multi-color strand or just the classic white, you are sure to find the color you want. Keep in mind that most pearls have overtones of other hues within their shiny luster.